Q. Of the albums you made with Cannonball, are there some you like better than others? A. I liked all of those records. (laughs) I did. I liked them all. I had a great time playing on those and I liked them all. It’s hard to pick one or the other. We went through a lot of different phases and each phase is different. I heard they’re supposed to release an album we did in ’64 when I first joined the band: Live at the Penthouse in Seattle. Myself, Sam Jones, Cannon, and Nat, and Joe Zawinul. It’s a really nice thing. They release things all over the place! The things we did in Europe. I guess they’ve been taped and they’re releasing all these different things on CD now. Q. That’s great. A friend gave me a 4-CD box set of newly released John Coltrane with Eric Dolphy in concert. Miles Davis is coming out with new material in a box set of his Newport dates. Keep ’em coming! A. Oh yeah. Those groups were so important. A. Horace Silver’s band. Major band. When we would come to town it was just unbelievable. You would go to different clubs and the clubs would be jam packed. There would be lines waiting outside to get in. People were very knowledgable about the music. The gigs would last for a week or two at each place. It was just amazing. The band was so popular. Then you would go to places like in Europe or Japan and you were like rock stars. It was just an incredible feeling. I really cherish all those memories, man. It’s just beautiful to remember all those things. Damn! I was there! (laughs). And then with Cannonball’s band we went through playing a lot of different styles of music. We were playing jazz. We were playing funk. And we got a lot of flak for doing some of that stuff. But Cannon stuck to his guns, and we did it, and he was still selling records and packing clubs. There were purists saying, “Why are you playing Mercy, Mercy, Mercy?” But that was one of the biggest records out at that time. Q. Did you keep journals? Were you a letter writer all those years you were playing? A. I didn’t keep a lot of journals, but I have scrapbook after scrapbook just full of stuff. Articles. Places we played. Things we did. Schedules we had. Just all kinds of things. Not only with Cannon, but with other people too. Q. Your fellow Cannonball Adderley member, Joe Zawinul, went on to create milestones in “fusion jazz.” The seeds of Zawinul’s fusion work are heard in his work with Cannonball. As far as I can tell, you were not involved in fusion bands in the way Lenny White, Billy Cobham, Eric Gravatt, and other drummers were. If so, was that by choice? A. Well, I came up in a time when I was playing more straight ahead music, although along the way I played just about every type of music around. We would experiment with fusion sometimes in rehearsals with Cannon and Joe Zawinul. I knew what it was about and how to play it. I don’t know! I got the calls for the more traditional things. Q. Did you stay in touch with Joe Zawinul? Did the two of you ever play music together again? Did you have conversations about music? 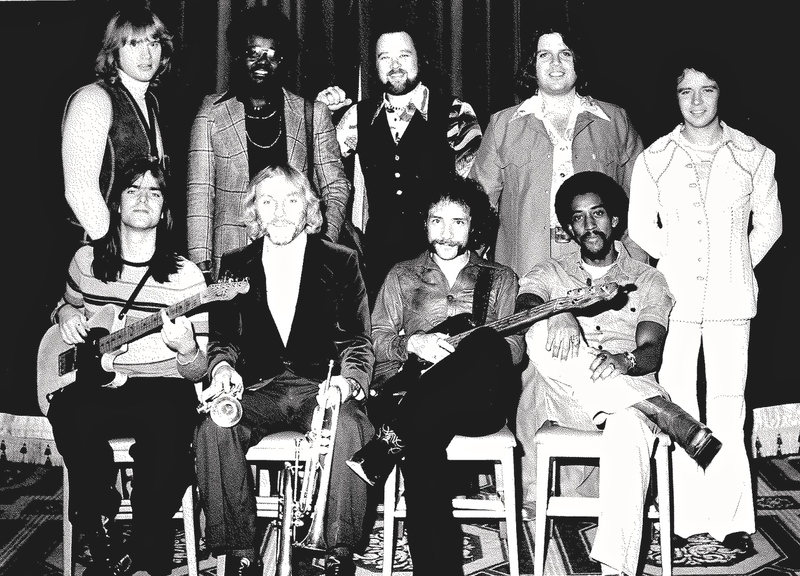 A. I never played in a band with Joe Zawinul after the Cannonball Adderley band. We both went on to do other things musically. But we remained very close. He was one of my best friends. We lived very near each other in Pasadena, California. Our families were close and our kids grew up together. It was a great ride. Cannon passed in 1975. Then I said, “Uh oh. What are you going to do now?” But I was playing with a lot of different people. I started working doing a lot of different things. You ever hear of a singer named Kenny Rankin? Q. I love Kenny Rankin. A. He was one of my dear friends and we did a lot of work together. We did maybe four albums together. We had a lot of fun and traveled all around. I was also working with Bobby Timmons. Me, Sam Jones, and Bobby Timmons had a trio. That was a beautiful thing too. Q. Were there rehearsals prior to Kenny Rankin’s recording sessions? A. Oh yeah. We would have extensive rehearsals with Kenny. And we would also be on the road and we would play those things too. We traveled quite a bit in between the time I was with Cannon and after Cannon passed. But he would have a lot of rehearsals. We did a nice album of standards that Kenny wanted to do. We did Kenny and strings with Don…, I forgot his name. A. Don Costa! Yeah. Costa loved Kenny, so we did a lot of music with Costa. I worked a lot of different places with him. Took me to places we didn’t go playing jazz. They were different kind of clubs. (laughs). But Kenny still wanted the jazz feeling, so we had a great time. Then I got a call to do Blood, Sweat and Tears. Bobby Colomby called and said, “Roy, I need you to take my place.” So I joined Blood, Sweat and Tears and I had a great time with them. Which was completely different! Now we’re playing for rock, but all the guys in the band were jazz musicians. We had Mike Stern, Larry Willis, Tony Klatka. Oh, my God! You should have seen the size of the drums I was playing. I said, “Wow!” I had never played drums that big before. Just a huge set of drums. Q. You couldn’t use the drums you wanted? A. We couldn’t use a small set. It was more of a rock kind of set. I’ll never forget. I was playing Fibes drums. I had four toms on the top and two smaller toms. Two floor toms. A bunch of cymbals. We used them all too. Fortunately I didn’t have to set anything up. Going from jazz to rock? The way you were treated was like a whole different thing. You didn’t have to do anything. They had drum techs, people to come to your house and pick up your luggage when you traveled, limousines waiting at your house to take you to the airport, to take you back home. I never touched the drums except when I sat down. And they were always perfect. Playing jazz we were always handling our own stuff. I was so happy when we started flying instead of driving. We could just relax then. When you get off a gig and get in the car and drive to the next gig, you get a little sleep, get in the car and drive to the next gig. It was just amazing. Q. Your drum equipment: What are you using now? Why? Do you tend to use the same drumset, cymbals, drumheads for all musical situations? A. I have an endorsement with DW Drums. I’ve been with them several years now. I use 7”x10″ and 8”x12″ toms on top and a 14”x14″ floor tom. My snare is a 6″ maple solid shell. My bass drum is 18″ by 14″, but I do use a 20”x16″ bass drum for a bigger sound on certain jobs. I have a second set, same sizes, only the shells are cherry wood. They have a real warm sound. I am with Istanbul cymbals. I use the Agop series. My cymbals are a 18″ crash ride, a 22″ ride, a 22″ flat ride, a 16″ thin crash, 14” hi hats. I use the same cymbals and drumset for all musical situations. I also endorse Regal Tip sticks and brushes. I use the 5A X series wood tip. I am with the Remo company for drum heads. I like to use the Ambassador coated heads, and my bass drum head is a Powerstroke 3. Q. Do you remember the drumsets and cymbals you used live and in the studio throughout your career. Playing in Rochester, N.Y. with the Jazz Brothers through the time with The Jazztet, I played and recorded on Pearl Drums. A black pearl finished set, and later, a white set. Both sets had a 20″ bass drum, 8”x12” tom, 14”x14” floor tom, 14”x5” metal snare. I didn’t have an endorsement, but my cymbal setup with the Jazz Brothers was Zildjian. An 18” Crash Ride, a 20″ Ride, and 14″ hi-hats. For a brief time with the Jazztet I had a Paiste endorsement and used a 20” Ride, an 18″ Crash Ride, an 18″ Flat Ride. When I joined Sonny Rollins (1962) I got an endorsement with Rogers Drums. I had a black pearl set, and later on a white set. The dimensions were the same as my Pearl drumsets. I used those drums on the albums I recorded with Sonny. I went with Zildjian Cymbals, playing a 20″A Ride , an 18” A Series Crash Ride, and 14″ Matched hi-hats. I joined Cannonball Adderley’s band in 1964 playing and recording with my Pearl drums for two or three years, and using Zildjian Cymbals. Later on in the Cannon years I got an endorsement with Fibes drums. I’m not sure what year that was, but I used Fibes for the remainder of the time. I was with the band, up to 1975. The drum setup changed. I started using 7”x10” and 8”x12” toms on top, a 14”x14″ floor tom, and an 18″x14″bass drum. My Fibes drums were clear drums. With Blood Sweat And Tears my drums were still Fibes: a white set with four toms on top, the snare was around 6.5″ deep, and 14”x14” and 16”x16” floor toms. I had an18″ Crash, two 18″ Thin Crashes, a 22″Ping Ride, a 22″ China Cymbal. I recorded one BS&T album with that set of drums called, Brand New Day. 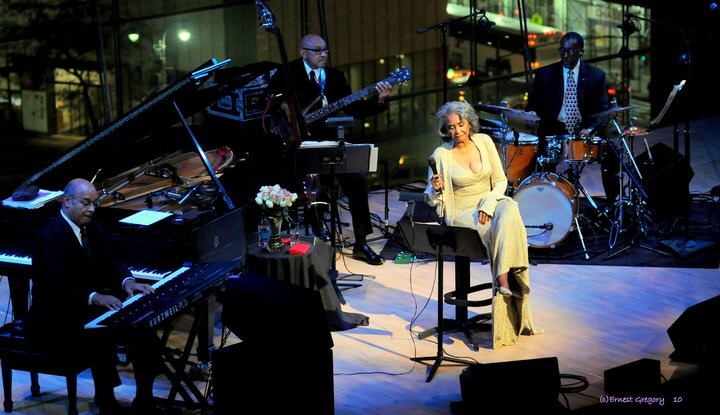 I went back to a smaller jazz set with Sarah Vaughan and Nancy Wilson, still Fibes for a while. In the last part of the 1980’s, I signed with Remo Drums. My setup was 7”x10” and 8”x12” toms on top, a 14”x14” floor tom, an 18”x14″ bass drum. My cymbal set up was a Zildjian:18” Crash, 22″A Series Ride, a 22″ Flat Ride,14″ Matched A hi-hats. 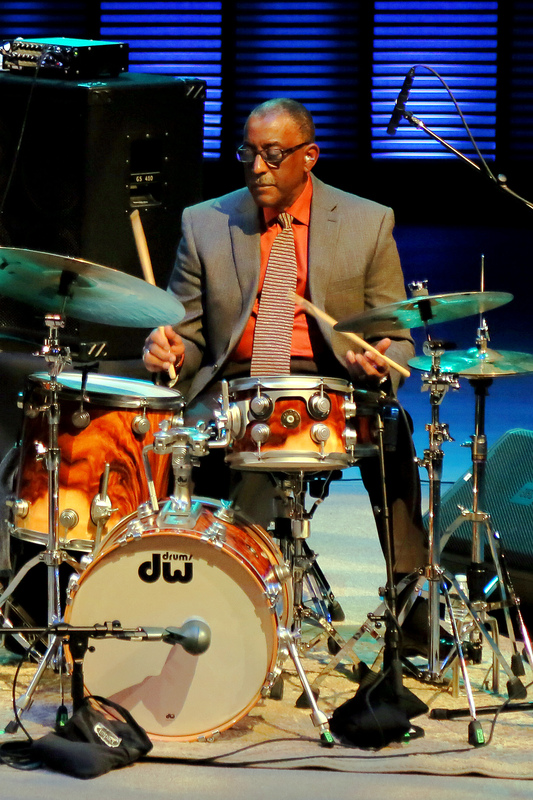 Around 2010, still with Nancy Wilson, I changed to the DW Drums Jazz Series I use now. Q. Did you own/use any drum equipment during your career that you really liked and wish you still had it to use? A. I used a Gretsch drum set in the 1970’s I really loved a lot. Rosewood in color and great sound. 7×10 and 8×12 toms, a 14×14 floor tom. I still have that set in my studio. Q. Aside from BS&T, you mention playing blues and R&B. Were you influenced at all by any of the pop/rock music from the 1950’s forward? How about any of the drummers? A. No. I didn’t listen to hardly any pop music from the 1950’s other than what heard on the radio. So I wasn’t influenced by it. I was listening to a lot of Doo-Wop music though. It was really popular in our neighborhood. But I didn’t know who any of the drummers were. Later on in the 1960’s I started listening to quite a bit of rock like The Beatles, The Who, Cream, King Crimson, the Stones. I didn’t know many of the drummers then, just Ringo, Charlie Watts, Ginger Baker — people like that. Then later on I was checking out drummers like Neil Peart, Carl Palmer, Earl Palmer, Bernard Purdie, and of course my homeboy, Steve Gadd. Q. Have electronic drums, drum machines, sampling, etc. impacted you at all? A. No. I have a set of Roland electronic drums in my studio that I like to play, but I never got into drum machines or sampling. Q. What did you do after leaving Blood, Sweat and Tears? A. After Blood, Sweat and Tears I stayed with Sarah Vaughan quite awhile. Then I was asked to join Nancy Wilson’s band and that gig lasted 31 years. I joined her in 1980 until she retired a few years back. That was an incredible gig. And at the same time I was also working with Ella Fitzgerald. Me and Bobby Durham. When Bobby couldn’t do it they would call me to do it. If I wasn’t working with Nancy I would do that. Q. It would seem like playing with singers would provide less opportunity for surprises in the band. True? A. It’s true. You have to think a little different. You can play with intensity, but you have to keep it at a certain level. Singers don’t want to be covered up. With drums it’s very easy to cover the singer up. You play with a certain level of volume and intensity and sensitivity. It’s just a knack to play with a singer. I got a chance to play with just about every major lady singer and quite a few men singers. Q. What was it like working with Betty Carter? A. Betty was beautiful. Working with Betty it was Ron Carter, Betty, and Harold Mabern. She was just really beautiful. She got really tough — later on, not when I was with her — when she started working with a lot of the younger guys. She had this kind of thing like Art Blakey. All these younger drummers and musicians would come through her band and she’d give them a hell of a hard time. But they all developed into very fine musicians. When I was working with her she was fine. Since Nancy Wilson, besides the teaching thing, I’ve just been playing with a lot of different people. Still playing all the time — which is great. I love it. I just got the Living Legends Award out here last year, which is great. There’s a University out here called Soka University of America. They have great jazz concerts, and they’re getting ready to honor me next year. I do a lot of concerts out there with a lot of different people. I just did a great concert with Benny [Golson] and Kenny Barron, and Buster Williams. Q. Do you still have “Ah ha!” moments playing drums? A. Oh yeah! Sure. Definitely. It’s hard sometimes to come to those peaks we used to get when we played every night, and you get to a playing level that was so high. Because you were playing with the same guys all the time. You would just reach these peaks and you’d say, “Damn!” They’d just be so good. It was like leaving your body and looking down at yourself and watching yourself play. I’ve talked with other guys about that. They said, “Yeah, I’ve experienced that once or twice.” But not all the time. It just happens for a while. But I love those things. And I am still playing at a high level now. Q. You have a great legacy. This entry was posted in SKF Blog and tagged BS&T, Cannonball Adderley, Drummer, Kenny Rankin, Nancy Wilson, Roy McCurdy. Bookmark the permalink. Thank you so much for publishing this interview. Finally a great interview with one of the great unsung heroes of jazz drumming. Please do more like this. It’s a shame that MD didn’t print it.